Click buttons below to be entered to win a Gift Basket from Wow Wee Dipping Sauce!! 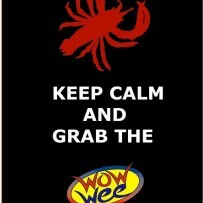 Gift Basket Includes One WoW Wee Original Dipping Sauce & One WoW Wee Spicy Cajun Dipping Sauce! Contest Runs Through Sunday 11/4/2012 at Midnight. Winner will be announced Monday 11/5/2012. would love to try this…i’m a foodie and sauces make the dish.. Thanks for reaching out to us Kevin! Please contact me at agriffin1967@cox.net. We would love for you to try our sauces!